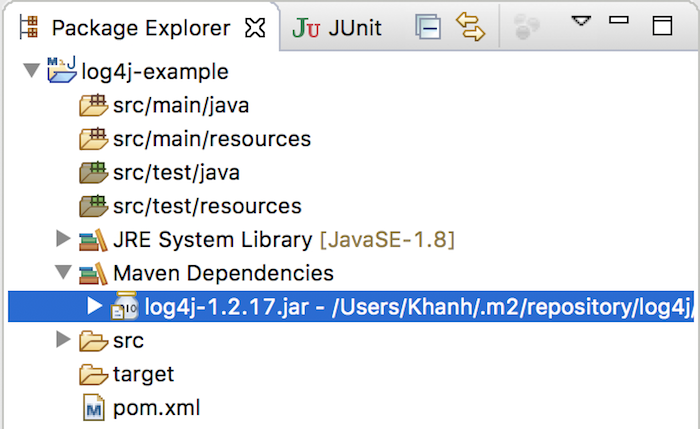 Log4j is a logging framework used to track what information we want when our application is run. 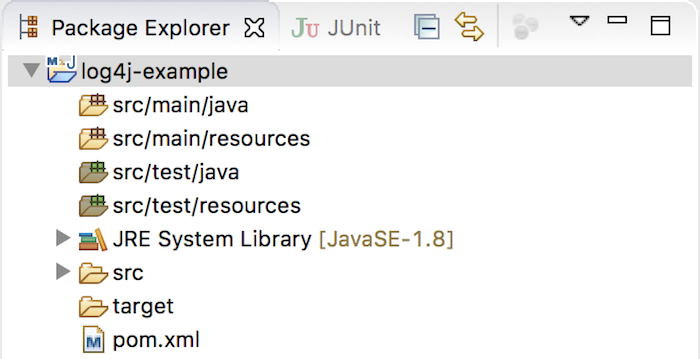 In this tutorial, we will look at the overview of Log4j 1.x and its components. Now, I’m going to create a Log4jExample class so that when I run, this class will use Log4j and print to the console the message “Welcome to Log4j!”. As you can see, with just as many steps as above, we were able to work with Log4j. In the next section, we will look at the overview of the components of Log4j corresponding to the example we just made! Logger object: takes care of defining what information to log. 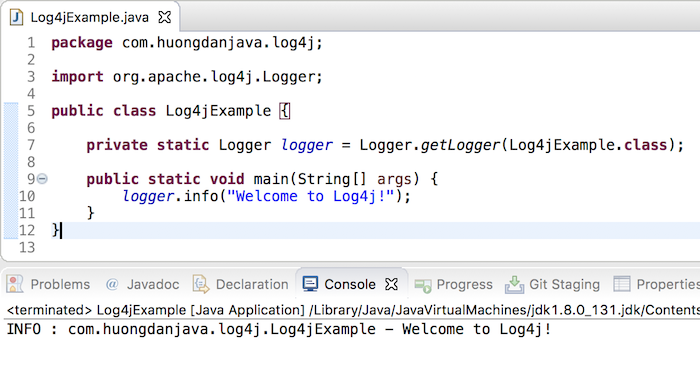 In our example, the Logger object is used in the Log4jExample class to log “Welcome to Log4j!”. 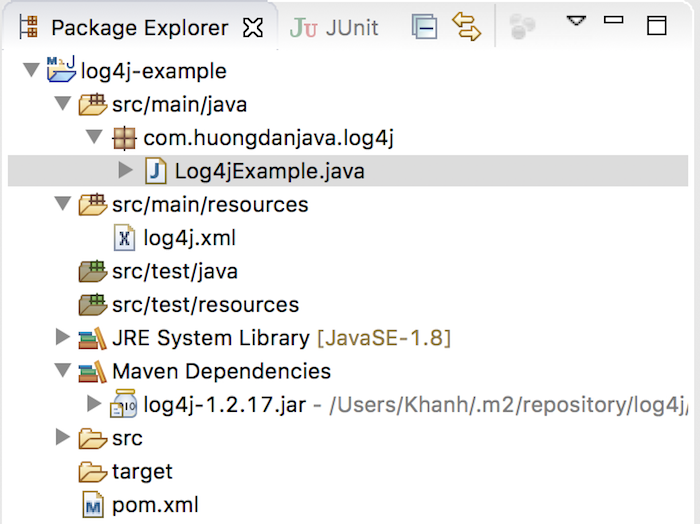 In addition, we have an object called Root Logger that defines the common configuration for all Logger objects in our application. 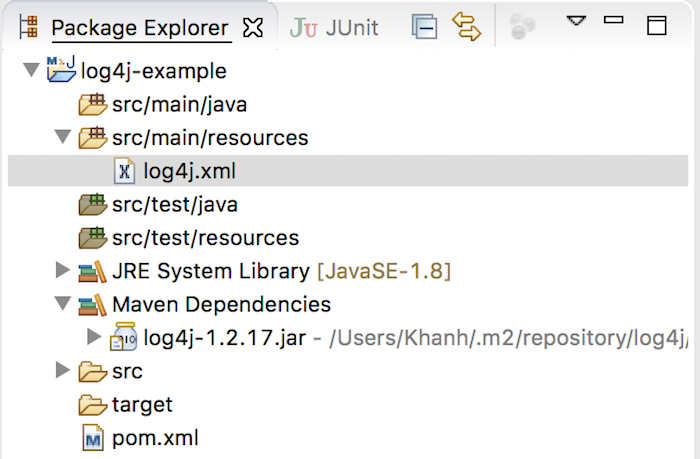 In the log4j.xml file, you see that we have a <root> tag, which is the tag that defines the configuration for the Root Logger. Appender object: take care of where information is logged. In the log4j.xml file of the example above, I have defined an Appender object, ConsoleAppender, to write log information to the console. Layout object: takes care of defining the format of the log information. In the ConsoleAppender object in the example above, I used the PatternLayout object to format the log information. Level object: defines the priority of the log information. This object defines 7 levels of log information: OFF, DEBUG, INFO, ERROR, WARN, FATAL and ALL. Filter object: This object is used to analyze the information and decide whether or not the information needs to be logged. ObjectRenderer object: is used to define a Java object that is logged as a string. LogManager object: This object is used to manage the logging framework.